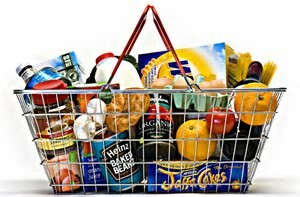 If supermarkets and food suppliers continue to reduce the size of their products, how long will it be before we can get all of our weekly food shopping in one basket? Not too long, I would suggest. 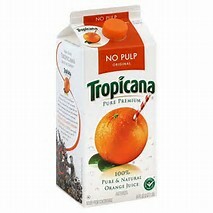 Another well known brand has shrunk its product while keeping the price the same -Tropicana, the juice manufacturer has reduced the size of its family carton from 1.75 litres to 1.6 litres in some supermarkets and to 1.4 in others. Tesco is selling the 1.75 litre carton of Tropicana smooth orange juice at £3.50 while Sainsbury's has on offer on the smaller 1.6 litre carton of the same juice, at normally £3.60, for £2.50 as part of a short term offer. Meanwhile, another of the high street giants, Asda, has a carton of the even smaller 1.4 litre juice at £3.40 and Morrisons is selling the same size with an official list price of £3.45. marked down to £2. It's all madness! Tropicana joins the long list of brands that earlier this year reduced the size of its products at the same time as maintaining or increasing the price. 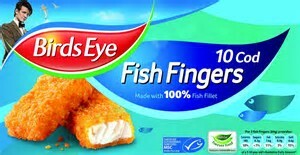 Birds Eye, for example, has reduced the number of cod fish fingers in its packets from 12 to 10, but the price remains the same a £2.50. Similarly, the well publicised Toblerone company increased the gaps between its chocolate bars triangles to reduce the products weight. Is this a consequence of Brexit? Maintain food prices at pre-Brexit rates but at the same time reduce product size, weight or quantity. It sounds like it. We all need to keep a close eye on food products in supermarkets over the coming year, as they shrink away at the same price!